I totally understand!! Especially at first, my Fiance and I had very very very different ideas of what we wanted. But over time, we've oompromised some, and he's grown accustomed to the fact that bucking tradition is not a bad thing. It's hard to deal with the opinions of our significant other, I think because everyone has such a certain image of what they want theyre wedding to be like. Great post! DH did that to me too. Men. I don't think I would have the courage to direct my own groom-to-be toward it, but if you can get a guy friend to slip it in there, this article might hit home. PS I am also exactly one year out (thanks for the reminder, Kat!) and we haven't planned anything other than it will be in our back yard. Yikes. Your wedding sounds just like mine! And your fiance sounds quite a bit like mine too... I understand where you're coming from! oh my lord, are you sure you weren't writing about my darling FH???? we've worked through the worst of it (i hope! ), but dude, it was rough sailing for a bit there. thanks for sharing this!! I definitely had my moments of feeling I was doing everything on my own and I was the only one who cared. I think all those ups and downs were the most important part of our planning process though. We learned a lot about eachother and how to work together, even though we both thought we already knew it all. There were times when we considered eloping, or not getting married at all (wondering, does marriage mean anything to us?) and I think we finally figured out what it all means to us and what we mean to eachother through the planning. So I agree it is painful at the time, but soldier on because it will be worth it! wow, thanks for posting this, sara! And thanks for writing it, Mandyrosy! I hear you 100%. It's so difficult to plan such a momentous occasion. There are expectations from everyone, but obviously you own expectations (and those of your FH) are the most important. I too REALLY hate it when my fiance claims he needs to "reign me in" (but in other words). Why does he think that's his job?!?!? I've been incredibly confused as to why those who have claimed they want to "help" with the planning process think that "helping" means "nay-saying". What's wrong with being supportive and re-assuring? thanks for being so rad!! Page out of our book! Wow, I could have written that. 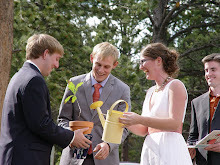 My fiance also resisted anything "creative" with the ceremony, and got all awkward feeling anytime we talked about it. 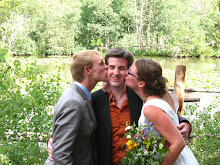 In the end, we had our Stand Up Comedian friend write and give the ceremony, and it worked out perfectly. It was enough of the traditional mixed with personal anecdotes, and I gotta say my Hubby had tears in his eyes throughout the whole thing. ohmigosh, thank you SO MUCH for sharing. It's so comforting to hear from people who have had conflicting styles of going about wedding planning. My partner and I have very different styles and images, and I'm so glad to hear that we aren't the only ones!!! Oh jeez. This is why they say it takes a year to plan a wedding. 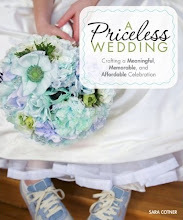 You know, I sometimes think men are more susceptible to wedding stereotypes than women are. I found with my man that, when we actually got down to real details, he has opinions and cares about a lot of the decisions, even though when we started planning he said that this was "my day" so I should do whatever I wanted. When we get past the stereotypes and discuss what is truly important, things go much more smoothly! I do also recommend premarital counseling. Our officiant required it, and I think we'd be in a much worse place without it. It's great for both getting an outside opinion on stuff, and a very experienced opinion too, and also just as encouragement for us to talk about the stuff we know are issues but haven't gotten around to really working through yet. Oh my goodness, thank you so so much for this post. I am about to lose it with my fiance because the ideas he keeps coming up with for the ceremony involve ninjas and vows that go like this: "Stacy (me) is hellaz (a slang word he uses to mean 'cool'). Stacy is a ballin' girl." Seriously? At first it was funny, but I'm starting to question how serious he is about the ceremony...the most important part. I feel much less alone now, thank you again! Just like many others said, I could have written this. In our case, what happened was the opposite of what usually happens. Usually, the girl wants something big and perfect that she has dreamed of since childhood, and the guy doesn't care or wants something simple. I am the down-to-earth one who wanted a $2000-$3000 wedding, he had ideas of "grandeur". He wanted a tux, a limo, a fancy cake (I want a piece-montee of baklavas), the whole shebang. We both earn 11$ an hour! When he was a teen, he went to his pastor's wedding and, according to his mom, "said he wanted one just like that". Unfortunately for him, I am an atheist and very frugal, so there is no way it could happen. Finally (but not without, I confess, a small amount of yelling and crying), I sold him my idea of a simple civil ceremony in the reception hall of a community center. He says that as long as we have a place to celebrate with our families and friends and that there is alcohol and food, he is happy. 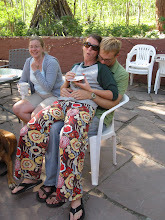 My DF is completely resistant to proactively contributing to the planning of our wedding. Whenever I ask him to do research - even something simple like - "go through our cd's and figure out what we should put on our iPod so we have the kind of music we like playing" - he's exasperated. He gives me the "whatever you want, dear", "it's your day" it's infuriating. I am not a bridezilla, I constantly try to bring up things that will "feel like us" and he's less than enthusiastic. Honestly at moments I think to myself - "we'll if you can't muster the energy to help me plan this wedding, then why are we getting married." but I recognize that a marriage is more than planning a wedding day. I think he still needs to get on board at perhaps it don't feel tangible to him yet. But you are not alone - and I completely agree - at the end of the day - he's the one that I'm married and he's not perfect - and neither am I - but we love each other - and that's all that matters. I just read this today - months after it was publish - and the morning after an argument and boohoo session. We're about 5 weeks out and what had been fun is now just stressful. He's been happy to contribute creative ideas, but not so happy about actually implementing them. This process has showcased the difference in our personalities - I'm a planner and he's very laid back. And it's driven us to really get annoyed with one another. I will say this...sometimes owning the feelings and allowing yourself a good cry actually help.